When you entered the real estate business, you most likely entered with good intentions. Perhaps the primary one was to do your best to serve your clients. However, as you gained more experience, you learned there are several different ways you can position yourself with customers, each with different roles, responsibilities, and standards of care, not to mention revenue potential and sales-practice constraints. But you picked the one you thought worked best for you—and for your clients—perhaps not giving it much more thought. Today, you might discuss your role with consumers to some degree. Or maybe it just doesn’t come up. In either case, your customers might not truly understand your legal status, especially whether you will serve as their fiduciary in the transaction. A new report from the Consumer Federation of America summarizes what happens when thousands of real estate agents operate in this manner. Based on mystery shopping and a national survey of 1,004 consumers, the report reveals that customers by and large don’t know whose side their real estate agents are on when they retain them to help with a home purchase or sale. The report’s title is instructive: “The Agency Mess: Home Buyer and Seller Confusion and Costs Related to Diverse and Poorly Enforced State Laws about the Role and Responsibility of Real Estate Agents.” Released on January 14, 2019, the study reveals that two-thirds of clients think their agents “always” or “almost always” serve their interests. Yet, according to CFA, a consumer advocacy group based in Washington, D.C., that’s not the case. According to CFA, some agents who work with clients actually serve the interests of the other party in the transaction. Or they may serve the interests of neither party. This is a common problem in many industries, not just real estate. For example, in the financial-services market, some financial advisors are fiduciaries (investment advisors) and some are suitability advisors (stock brokers and insurance agents). Yet all three types of advisors may sell the same products and services, even though they operate under different standards of care. And they all may call themselves “financial advisors” when sitting across the table from a prospective client, leaving the public confused about whom they’re actually dealing with. Single agent: the person represents a client exclusively and is held to a fiduciary standard. This type of agent is “obligated to procure the greatest advantage to his client,” says the CFA. Designated agent: someone who is recruited by the listing agent to serve the buyer. This type of agent has a fiduciary responsibility to the buyer. Subagent: someone who works with the buyer, but is a fiduciary for the seller. Dual agent: theoretically represents both the buyer and the seller. In reality, a dual agent can only have a fiduciary relationship with one party. Transactional agent: An agent who works with both the buyer and the seller to advance the sale, but has a fiduciary relationship with neither party. CFA’s research indicates that many consumers don’t comprehend what these terms mean and what their implications are in terms of the level of service they’re likely to receive or of the potential conflicts of interest they may encounter. For example, 55 percent of consumers surveyed said they didn’t comprehend what the various terms meant and didn’t understand their implications. Why so much confusion? CFA attributes it to a multiplicity of factors. One is that each state jurisdiction promulgates its own real estate laws. This has resulted in 24 different types of state agency laws, meaning there’s no consistency across the nation regarding real estate roles and responsibilities. What’s more, there’s no standard posture regarding the fiduciary relationship. Some states presume agents serve as fiduciaries, while others believe they act as transaction facilitators. Finally, states are all over the map in terms of how they mandate agent relationship disclosures, in what fashion (orally or in writing), and when. The fact that states use different terminology surely doesn’t help matters. For example, some might call an agent who works both sides of a transaction, with no fiduciary duty, a transactional broker, transactional agent, facilitator, intermediary, or other term. Similarly, a designated agent can mean someone a listing agent names to work with the buyer or one who works with either the seller or the buyer. 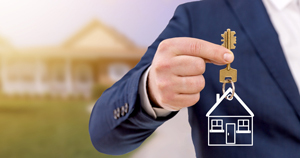 Confounding matters even further is that state real estate regulators or commissions may not require written disclosure of agent relationships, may not require use of a standard form, or may not require giving clients the form at the outset of the relationship. 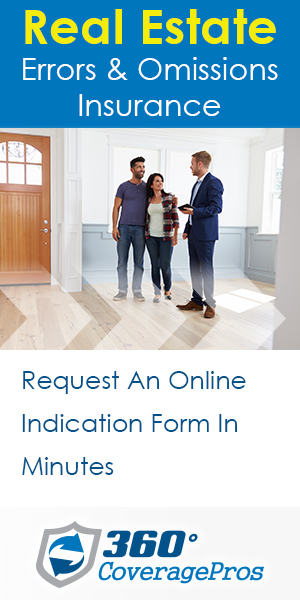 So it’s hard to know whether consumers ever receive notice of their agent’s or broker’s legal standing. Structural conflicts also underlie widespread consumer confusion over agent/consumer relationships. Perhaps the most damaging, notes CFA, is the trend of agents and their firms trying to work both sides of a transaction with so-called dual agency representation. Here’s how it works. First, an agent finds a home seller and has the person sign a contract in which the agent agree to provide fiduciary services to the client. After the agent finds a buyer, he or she persuades the seller to agree to so-called dual agency. The seller agrees because he doesn’t want to lose out on a sales opportunity. However, the person may not realize that his agent will no longer continue seeking the highest sale price. Why do agents do this? Because they get to keep the entire commission, CFA says. But this can cause problems for the seller, because their agents now have an incentive to bring in buyers they can work directly with (and get the full commission) vs. one who might be willing to pay a higher price, but who has his own agent. Designated agency can also be problematic, says CFA. Here, an agent serves as a fiduciary to a seller. When he identifies a buyer, he recruits another agent to work with the buyer as a fiduciary. But in reality, the agent representing the buyer might not provide adequate representation because he feels indebted to the seller’s agent who gave him the opportunity. Home buyers and sellers might think their agent is serving their interests, either seeking the lowest sale price (for the buyer) or the highest price (for the seller). But that may not be the case. Buyers might think that sub-agents who are working for them will tell them how much their willing to spend on a house, not knowing the agent is legally required to share that information with the seller. Sellers may receive a sub-optimal sale price when they agree to a dual-agency arrangement. More states should prohibit dual agency. It’s currently illegal in eight states. Agents in every jurisdiction should be required to provide clients with clear written and verbal disclosures at the outset of their relationships, spelling out whether they will serve as a fiduciary agent, a subagent, or transaction agent/facilitator. In states that don’t mandate consumer disclosures, real estate commissions should work with consumers and industry professionals to create a disclosure document they’re comfortable enforcing. If they’re not comfortable with this, the state attorney general should do so. Finally, real estate agents and brokers who are upfront with their clients about their legal status avoid setting the wrong expectations, which can lead to customer disputes and damaging errors and omissions claims. What’s more, by being fully transparent they enhance trust, which reduces friction in the sales process. To build a strong real estate business and avoid legal problems in the future, it’s crucial to explain your standard of care to consumers. It might take a little extra time at the beginning of the sale. But it will provide a strong return on investment in terms of better customer satisfaction, more referrals, and fewer expensive lawsuits down the road. What’s not to like about that?